The team of Eugonia published a new study suggesting that in poor responders, the use of natural cycle IVF is associated with 4 times higher probability of live birth compared with a traditional high-dose FSH antagonist protocol. This is the first study in the literature to propose that the modified natural cycle (MNC) is more beneficial in this difficult patient group since, as well as higher live birth rates, it requires minimal injections, has a significantly lower cost, is more patient friendly, and can be performed each month.Women with poor ovarian response (poor responders) have very low numbers of retrieved oocytes despite the high gonadotrophin doses employed, due to a diminished ovarian reserve (small number of resting follicles in the ovary). As a result, poor responders have lower pregnancy rates during IVF, compared to women with normal response or high response.Ovarian stimulation in these women remains a challenge for the clinician, and several studies to date have failed to agree on the optimal stimulation protocol for poor responders. Our new study proposes that MNC IVF may be the solution for these women.The study was conducted in collaboration with Aristotle University of Thessaloniki and the University of New South Wales Australia, and was published in the journal Human Reproduction. Live birth rates after modified natural cycle compared with high-dose FSH stimulation using GnRH antagonists in poor respondersLainas, T. G., Sfontouris, I. A., Venetis, C. A., Lainas, G. T., Zorzovilis, I. Z., Tarlatzis, B. C., Kolibianakis, E. M.Human Reproduction, 2015. First published online: August 25, 2015See the publication here. Two randomized controlled trials (RCT) by Eugonia were presented at the Annual Meeting of ESHRE 2015, which took place in Lisbon on 14-17 June 2015. This is one of the largest conferences in Assisted Reproduction, and as a result only studies of high originality and importance are accepted for presentation.This proves that Eugonia remains at the cutting edge of clinical research. The findings of our research are quickly transferred in the treatment of our patients and are translated into the high pregnancy rates that we constantly maintain year after year.The 2 studies include: one dose-finding clinical study on the novel method for triggering final oocyte maturation unsing GnRH agonist in women at high risk for developing ovarian hyperstimulation syndrome (OHSS). Oral presentation by George Lainas.See the presentation here.And one embryology study comparing the effect of two different culture systems on embryo development and pregnancy rates. Similar implantation and pregnancy rates using a single medium versus sequential media for embryo culture: a randomized controlled trial. Poster presentation by Ioannis SfontourisSee the poster here. We published a new study based on the extensive clinical data of Eugonia, in collaboration with Aristotle University of Thessaloniki. Our study provides an answer to a constant clinical dilemma: which fertilization method (conventional IVF or ICSI) should we use in patients with only one oocyte retrieved and normal sperm? In contrast the common practice of many IVF units that use ICSI in these patients, our data show that fertilization, pregnancy and live birth rates do not differ between IVF and ICSI. We conclude that conventional IVF may be used when only one “precious” oocyte is available, in the presence of normal sperm. In this way, we can avoid the unnecessary use of ICSI, which is a more invasive, but also more expensive fertilization method.The study was published in Journal of Assisted Reproduction and Genetics, official Journal of the American Society of Reproductive Medicine. Live birth rates using conventional in vitro fertilization compared to intracytoplasmic sperm injection in Bologna poor responders with a single oocyte retrievedIoannis A. Sfontouris, Efstratios M. Kolibianakis, George T. Lainas, Ram Navaratnarajah, Basil C. Tarlatzis, Trifon G. Lainas, JARG, March 2015You can read the study here. The attendees had the chance to meet our Unit’s staff in person and to see our refurbished place. 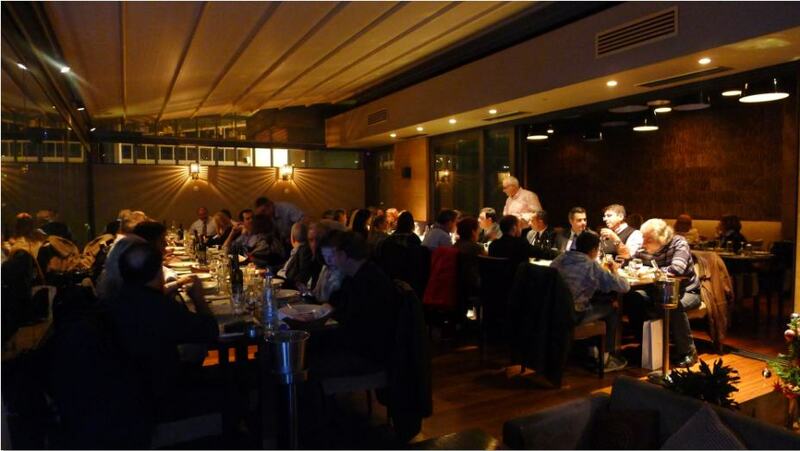 The talk was followed by a meal in a famous restaurant.This event is the first in a series of planned events that Eugonia will organize in the next few months. The scientific team of Eugonia actively participated in 3 big international conferences within 2014, with 4 original studies of high impact.They are some of the largest and most important conferences worldwide in Reproductive Medicine and Endoscopy, during which the latest achievements of the international scientific community are presented.Munich, July 2014: Oral presentation at the ESHRE (European Society of Human Reproduction and Embryology) Annual Meeting. A new single medium for embryo culture is associated with improved blastocyst development and quality. 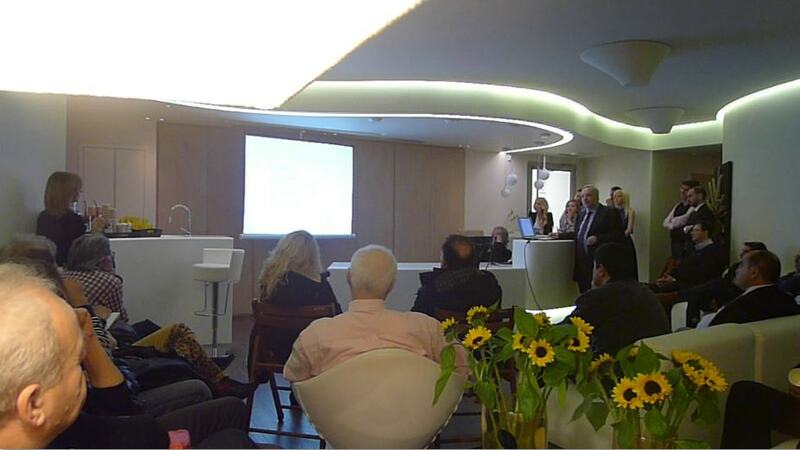 Brussels, September 2014: Oral presentation at the ESGE (European Society of Gynecological Endoscopy) Annual Meeting. Higher implantation and pregnancy rates, and fewer miscarriages in women without hysteroscopic findings, suggesting that hysteroscopy prior to IVF treatment may improve pregnancy rates. Hawaii, October 2014: 2 poster presentations at the ASRM (American Society of Reproductive Medicine) Annual Meeting. The levels of endogenous progesterone are related with subsequent pregnancy rates following IVF treatment. These are 2 large studies with more than 3000 patients, based on Eugonia’s extensive and detailed database, which can only be compared to databases of large international centers. It is important to highlight that all studies submitted at the above conferences are assessed anonymously by 3-4 international reviewers, in order to identify the best ones. As a result, only studies of high impact and originality are accepted. Ιt is an official recognition of our team’s research activity, in our continuous effort to increase pregnancy rates.The continuous and constantly increasing research output at Eugonia demonstrates our constant effort for scientific update and improvement.The benefits of the findings of our recent studies are quickly transferred to our patients, who can take advantage of new methods and treatments, finally increasing their chance of a successful pregnancy. 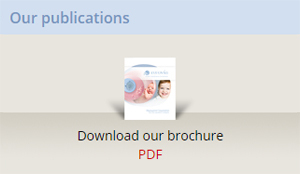 A novel research study of Eugonia was accepted for oral presentation at the recent annual meeting of the European Society of Human Reproduction and Embryology (ESHRE), that took place at Munich on 29 June-2 July 2014. Our study involves the improvement of embryo culture conditions.This is the largest annual conference worldwide in the field of IVF, which presents the most recent advances of the international scientific community. The acceptance letter from ESHRE clearly states that all submitted studies are assessed anonymously by 4 international reviewers, in order to identify the best ones. As a result, only studies of high impact and originality are accepted.Ιt is an official recognition of our team’s research activity, in our continuous effort to increase pregnancy rates.This is the third year that Eugonia actively participates in the ESHRE Annual Meeting with an oral presentation. The scientific team of Eugonia has described the only available treatment worldwide for the treatment of severe OHSS using GnRH antagonist administration.In our new study, we provide an explanation on the mode of action of the antagonist, based on the pathophysiology of OHSS.Our data show that GnRH antagonist causes a rapid decline of VEGF, the primary angiogenic factor responsible for the development of OHSS.It must be noted that OHSS is the most serious complication of IVF programs. Until recently, there was no established cure for severe OHSS, which often requires patient hospitalization.Our study was published in the official journal of the Royal College of Obstetrics and Gynaecology, UK (BJOG: An international Journal of Obstetrics and Gynaecology). 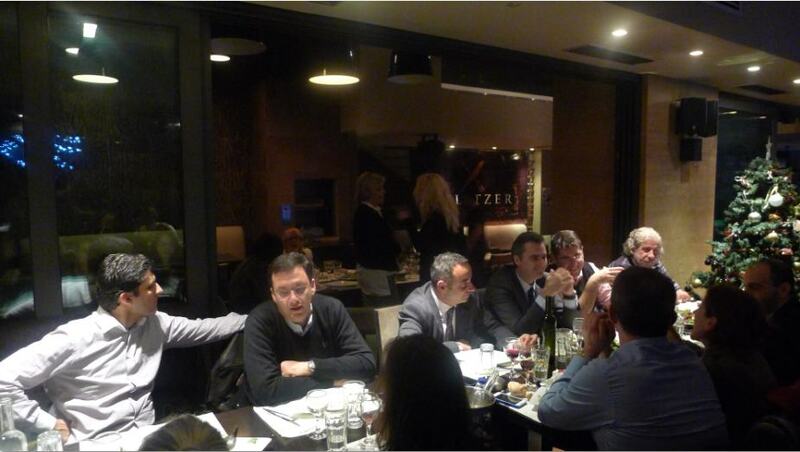 GT Lainas, EM Kolibianakis, IA Sfontouris, IZ Zorzovilis, GK Petsas, TG Lainas, BC Tarlatzis. BJOG: An international Journal of Obstetrics and Gynaecology, Feb 2014. See a short description of our study here. 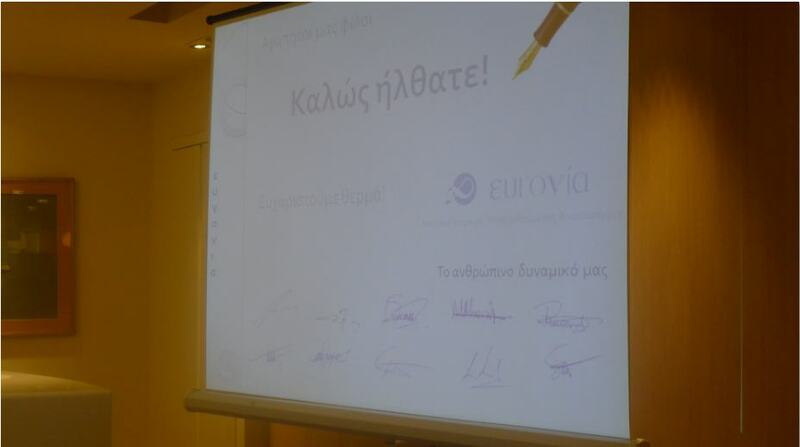 Successful organising of a day long seminar by Eugonia titled: "Advances in Assisted Reproduction", 19th February 2010. In January 2010, Eugonia was officially accredited with ISO 9001:2008 for services in Assisted Reproduction following an inspection of our Quality Management System from the official ISO accreditation governmental body in Greece (ΕΚΕΒΥΛ).